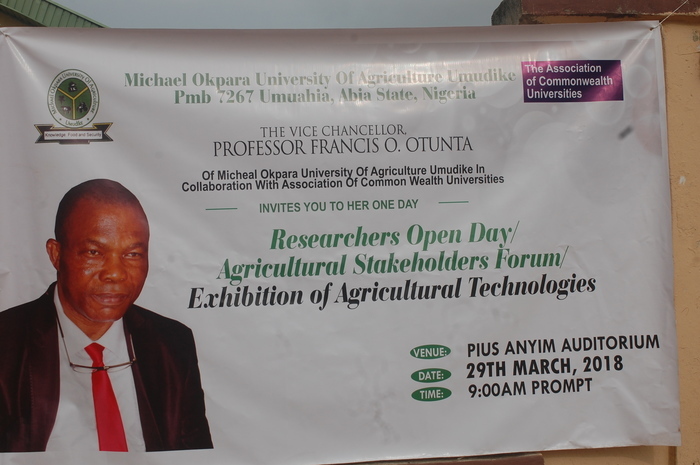 The Michael Okpara University of Agriculture and the CIRCLE Implementation Fund co-funded the university to carry out three activities as part of their institutional strengthening programme. These activities have conducted training in research ethics, scientific writing and communication skills, and provided a forum for researcher-stakeholder collaboration. Here, Professor Philippa C. Ojimelukwe shares with us her thoughts on the Researcher Open Day held in March 2018 which strengthened communication between researchers and research stakeholders.